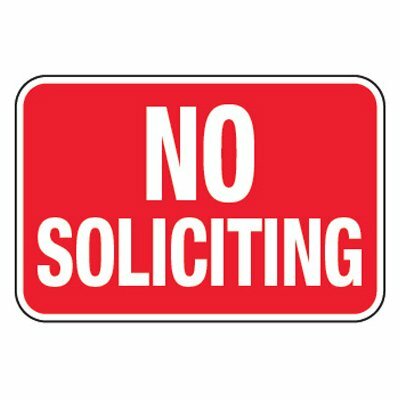 Avoid having unwanted visitors and stubborn solicitors bother you by posting No Solicitation Signs right in front of your door. 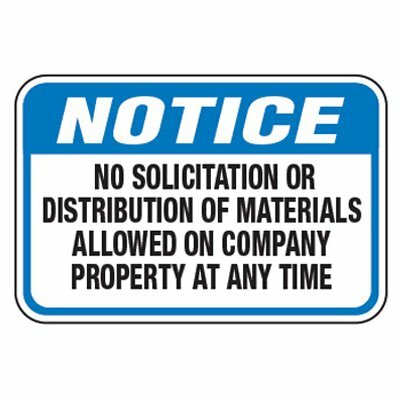 Part of Seton’s large selection of property signs, our No Soliciting door signs will instantly inform people that your company does not encourage solicitation requests. These signs carry standard wordings that are very precise and can be easily understood by everyone. Choose from a wide variety of signs made from different materials including self-adhesive vinyl, rigid plastic, and heavy-duty aluminum. These signs are suitable for both indoor and outdoor use. 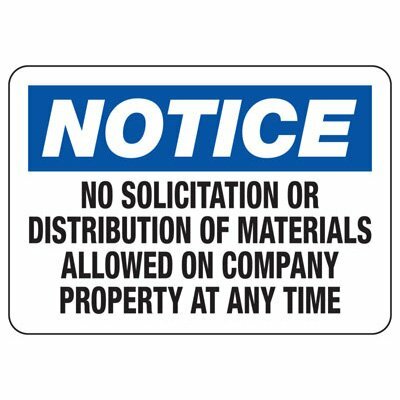 Notice no solicitation signs strictly prohibit solicitation and distribution of materials on company property. Dealing with solicitors and salesmen can sometimes be an aggravating task and would usually take up much of your time or your receptionist's time. 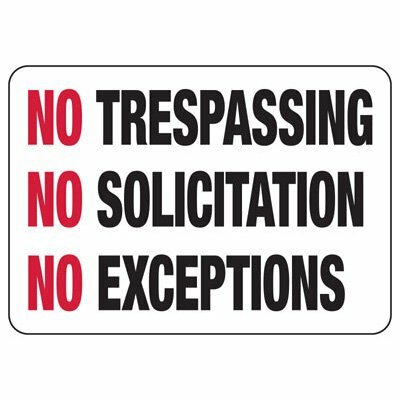 You can avoid having to deal with uncomfortable situations like these by making your no solicitation policy known right from the start. Seton’s No Solicitation Signs are straight to the point and show exactly what you mean. These signs are available in different sizes that are large enough to be seen at a fair distance. 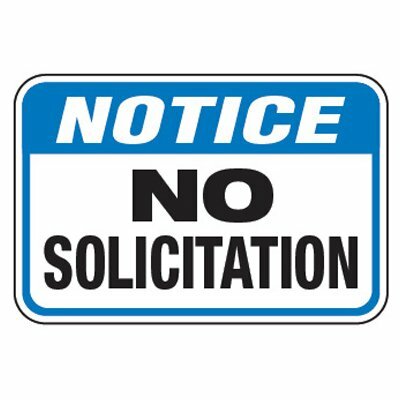 You also have the option to upgrade your No Solicitation signs with Seton UltraTuff™ overlaminate for better protection against graffiti, fading, and chipping. Even if you have the right facility sign, it would be rather useless if it’s not properly mounted. To maximize the benefits of your signs, you need to choose the most effective installation method. 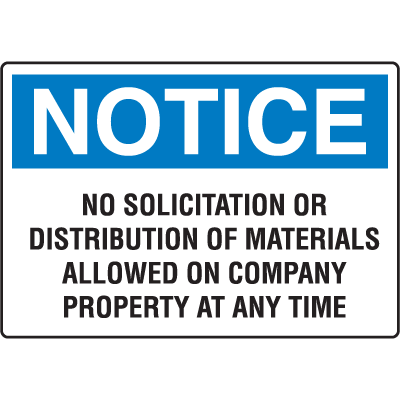 Seton’s No Solicitation Signs are available in self-adhesive format that can stick to most surfaces and signs with pre-drilled mounting holes to make for easy and fast installation. We also carry a variety of sign posts and accessories that will go well with your signs.